In this article, I am going to show you how to fix/restore missing of flash drive or HDD. 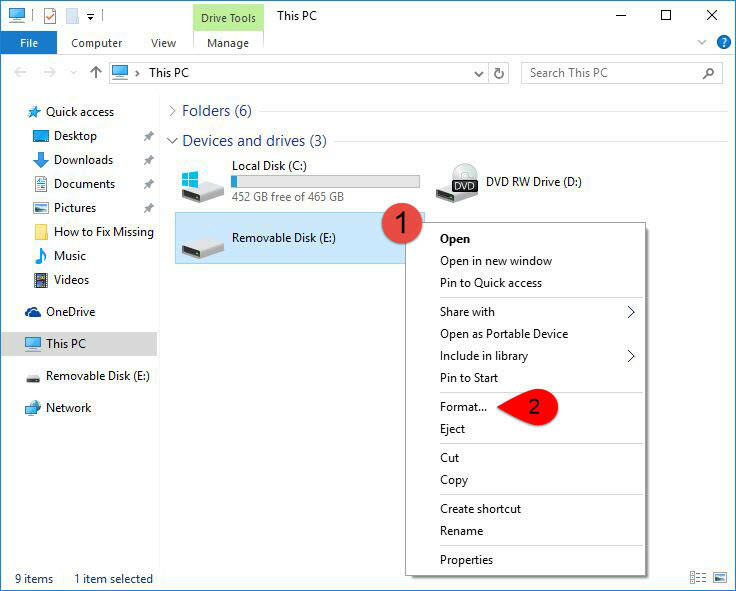 or how to fix unallocated space on HDD USB SSD Drive Sometimes when you forget to eject you flash drive or your hard disk drive (HDD) and while you eject your drive then if it’s using the current time like copy files or move files from it or on it, then it will not show your flash drive or hard disk drive (HDD) full memory. It also happens to your flash drive when you create bootable USB Installer for Mac OSX on windows 10 or Mac OSX. 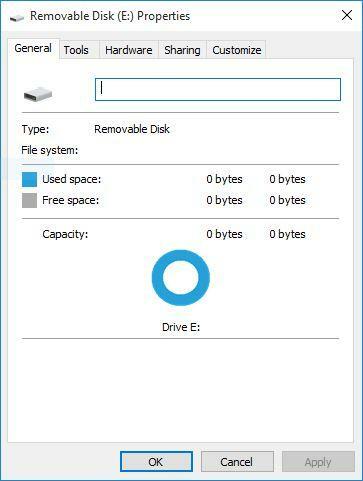 When you click on the drive then it will ask you to format it to open the drive. 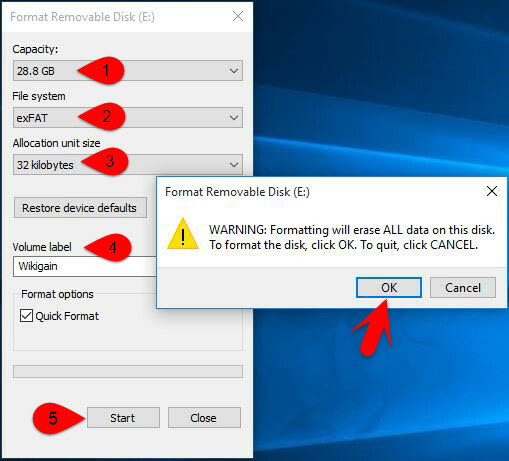 So if you’re in the same cause then you’re in the right place, here I am going to show you how to fix/restore missing of flash drive or HDD. After you create a bootable USB installer for Mac OSX on windows or OSX, to install Mac OS X on PC, then your flash driver will not work properly on windows and you will find it with missing memory and when your click on the drive properties then it will show like the shot below. Step #1. Open CMD As Administrator. Step #2. Type diskpart and hit enter. Step #3. 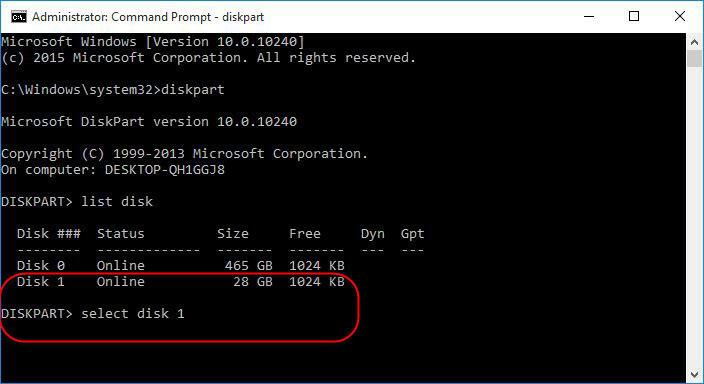 Now as Diskpart type list disk to show all disk that connected to your PC ports, including your computer hard disk drive. Step #4. Before to do anything you must select the flash drive that wants to fix it so type select disk 1. Read Carefully: Now disk 0 is 465 gigabytes(GB) so it’s my hard disk and disk 1 is 28 gigabytes(GB) and this is my USB Flash drive. 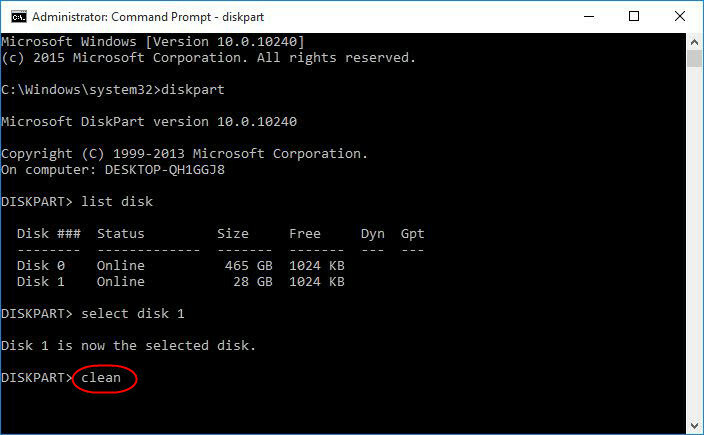 So if you select the wrong disk then you will format your hard disk be careful in disk selection. Step #5. Type clean and hit enter. Step #6. 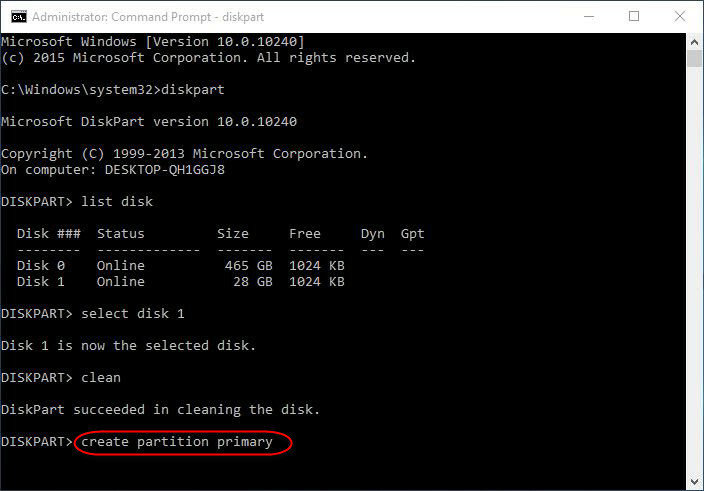 Type create partition primary and hit enter. Step #7. 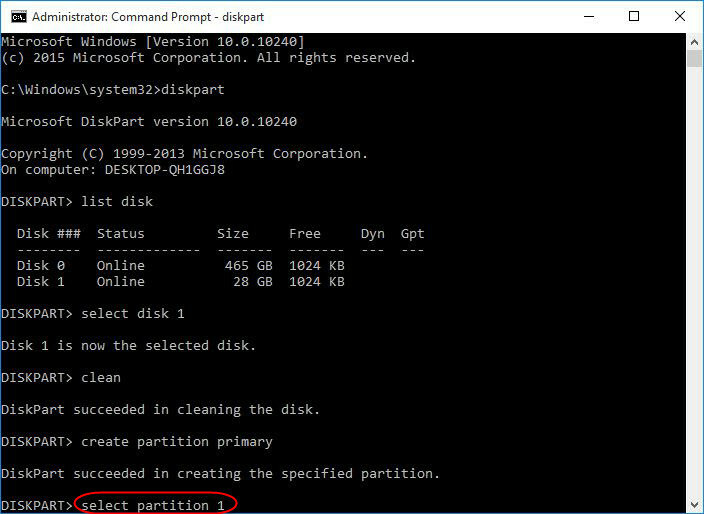 Now Type select partition 1 and hit enter. Step #8. And now type active And hit enter. Step #9. 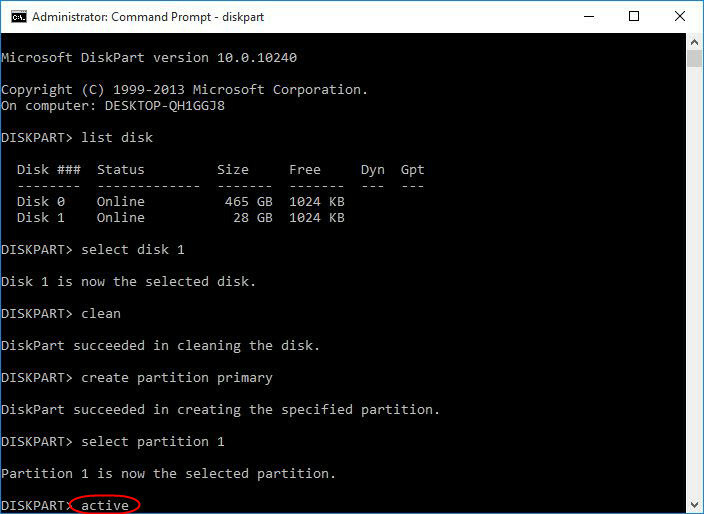 Now Close Diskpart utility and go to This PC and right click on the drive then click on Format. Step #10. Here choose Capacity, File System, Allocation unit size, and type your volume label( Drive name ) finally click on Start > OK. Optional to See: Here are all Commands in one Shot if you want. Here After you formatted your drive then you must see the that the missing memory should be restored. Like the shot below. IF you your Drive didn’t restored then here is the Top 5 Best USB 3 Flash Drive You Can Buy Now. Also Read: How to Find Saved WiFi Passwords in Windows 10? 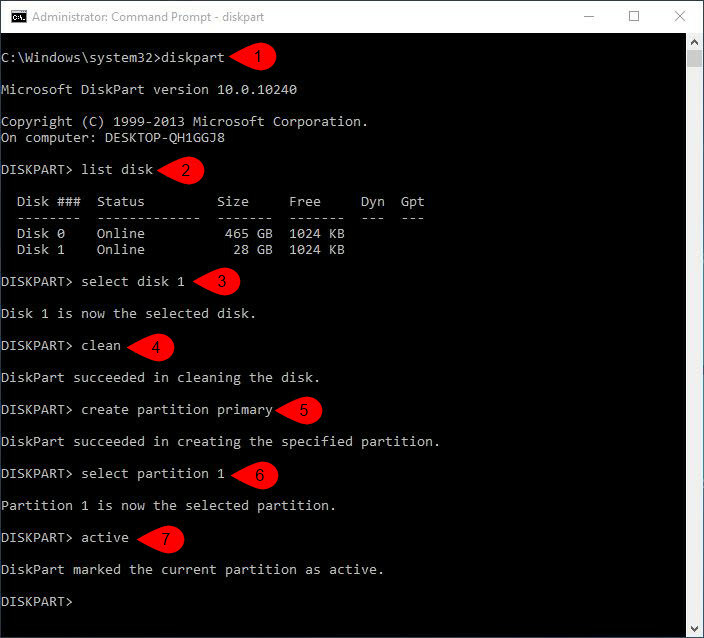 This was all about, how to fix/restore missing of flash drive or HDD. If you faced any problem tell us below by comment, feel free to tell us. we’re waiting for your suggestion. 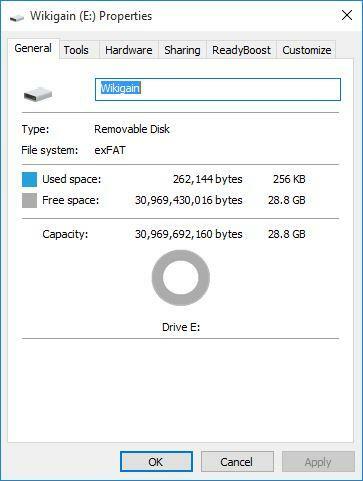 So i have a litle problem: download and extract the file , but after the win32 finished….i cant see EFI folder on my USB drive. Once format USB flash drive manually and Use our file that we’ve tested and it works fine. I want boot in asus motherbaord H110m cs and nvidia zotac 710 in core i7 6th can u help me i am not found in confin. I did not get you. This post is about fixing missing memory and you’re asking about booting?